It’s been 2 years since The Muslim Girl began. We’d like to thank all of you for visiting the site and supporting us by doing a giveaway! This giveaway is open internationally; so no matter where you live, you can enter. We’ve got an awesome giveaway pack for one lucky visitor. Take a look below! We’ve got a gorgeous royal blue pleated maxi skirt from Kabayare Fashion included in the giveaway pack. We’ve talked about how much we love the pleated maxi skirts from Kabayare and want to share one with you! The colour is a beautiful bright blue that will look amazing in the coming Spring and Summer months, for day and night. The skirt is completely lined so it’s ready to wear. We’ve also got 2 cute hijab pins from Pins and Pearls. These are straight hijab pins in the shape of roses, with a little gold leaf hanging on the side. They’re perfect to add a little sparkle to any plain or patterned hijab. We’re in love with this art print! It’s a beautiful piece with bold lettering and a pastel floral background made by Art by Felecity that is sure to brighten up any home! Last but not least, the giveaway includes 2 different hijabs from Hijabista. One is a pink-purple firework pattern, while the other is a blue-green floral print. Both hijabs are a cotton-polyester blend and are big enough to drape and get the coverage you need! One lucky person will win all of this! So how do you enter? All you need to do is follow the instructions in the Rafflecopter giveaway app below. In order to get an entry, you need to like us on Facebook. The rest of the entries are optional. If you do choose to participate with additional entries, don’t forget to include the link to your tweet or comment; we will be checking! Again, the giveaway is open to everyone worldwide. It will end on April 24th, 2016, which will mark the 2 year anniversary of the site! Again, we’re so excited to be able to have it to the 2 year mark and couldn’t have done it without you. So thank you! And now good luck! I like the Muslim Blog because of the topics that are relevant today in our time period, it contains nice fashion tips and ideas, and it is also motivating. I love visiting this website because I find the all the different columns relevant to my life. I have been subscribed for about a year now and when ever I see a new email from Muslim Girl I rush to open the tab and read the post. I love the work you put out there and appreciate it. Thank you so much for this website and for giving me the opportunity to win this giveaway. May Allah bless all of you. I just recently stumbled upon The Muslim Girl blog and it has changed my life for sure. JazakAllahu Khair! 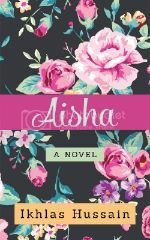 I love the Aisha story series! I found this blog a while a go, and am so happy I did! Well done for getting to 2 years! I love the blog content! i love this blog mashallah, its inspired me soo much. I know pray 5 times a day and just this blog just made me realise that life is short and we have to work hard to get jannah inshallah. I discovered this blog a little while back. I love your daily dose of deen and the modest fashion section.Your blog in general is very informative and well structured. keep up the good work! Only one lucky visitor? That’s not fair. 🙁 And how long is the maxi skirt? I’m pretty tall for my age(“5’7” at 16, who’ll marry you?”-My mother) and maxi skirts or maxi dresses reach only till a little above my ankles. Where will the winner be announced? And when? It’s 25th already. congratulations for the this long time and constant work. May Allah bless you and give you more strength for the good cause.